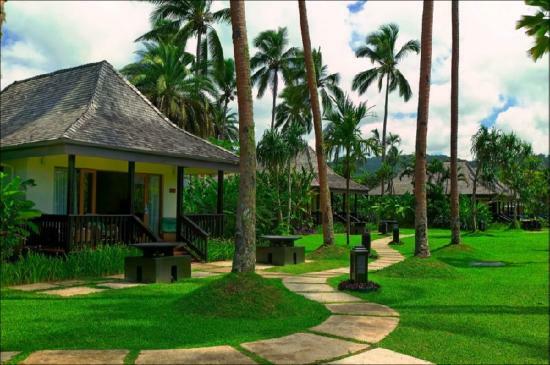 Need a family getaway in Fiji with minimum of worries? 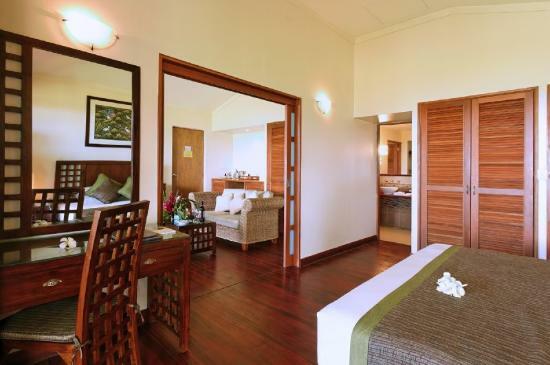 Find out about Naviti Resort Fiji, an all inclusive family resort right on the beach. - Who does Naviti Fiji suit? Who does Naviti Fiji suit? 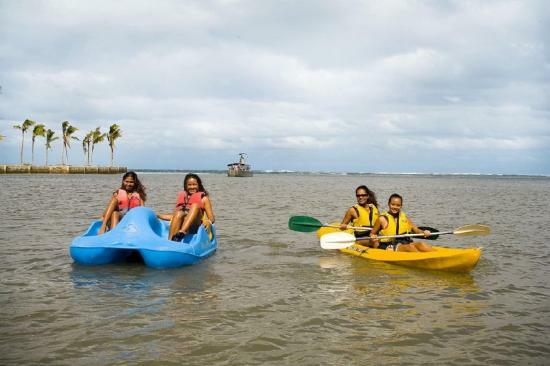 Massive Naviti Resort Fiji suits families wanting a fun and action packed holiday/vacation. The unique all inclusive nature at Naviti, which includes alcohol, is a renown draw card. 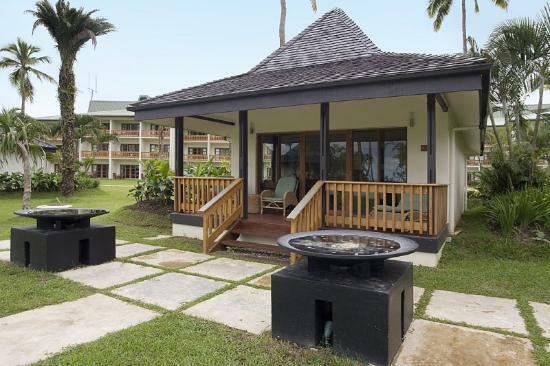 Naviti Resort is located on the popular resort-rich stretch of coast called Coral Coast on the southern coast of the main island, Viti Levu. Accommodation suits couples to families. There are inter-connecting rooms for bigger families. Naviti's popular all inclusive service includes all meals and all drinks. 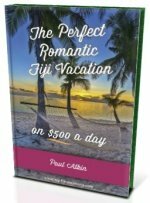 Usually in Fiji, all inclusive doesn't include alcohol, it does at Naviti Fiji. Meals are buffet style and a la carte. There are two restaurants and a neat swim-up bar. Deciding to take your drink in the pool or on a mahogony deck chair is one of the more difficult decisions you'll have to make during your holiday! You will never run out of things to do during your stay, doesn't matter how active you consider yourself. Most mid-range resorts in Fiji include non-motorised activities in their rates, interestingly, not Naviti Resort. Naviti Resort's central location on the Coral Coast lends itself to a ton of off-resort things to do. If you need a start, try out our 5 Things to See in Sigatoka Fiji. The kids club is a handy option for your relaxing holiday. Your kids will enjoy a fun packed programme leaving you time to relax. It's open for 5 to 12 year olds and it does come with a small fee. Naviti has various options and packages to choose from. 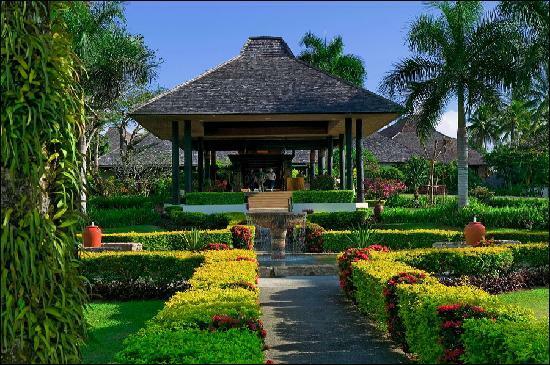 Expect to start paying around FJ$300 per room per night or $500 for all inclusive, for 2 people. For more information visit their site at http://www.warwicknaviti.com.